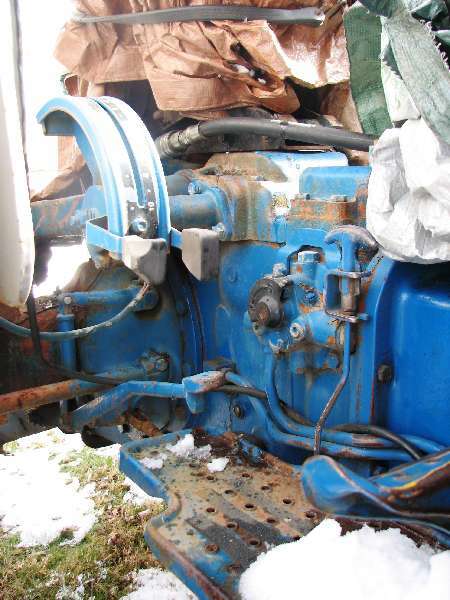 Does anybody have or know where I could find a crank or engine for a Ford 1720? Mine has spun a rod bearing and ate the crank. That is unfortunate and it sounds very expensive unless a used one can be found. It might be easier to find an entire used engine but that might be pretty pricey too. The web link below goes to a list of salvage yards that might be useful. The good thing is that 1720's are popular tractors and there may be a fair number of used parts around. I guess the journal was eaten beyond what turning it to an undersized bearing insert could repair. I have vague recollections of hearing that journals can sometimes be 'built up' and returned but I don't know if that's a realistic idea or how successful it might be. TomG, Thanks for the reply. Yes it is unfortunate and expensive. I called a few salvage yards and they basically told me that tractor salvage yards don't usually mess with small compact tractors. If anyone knows of salvage yards that do, I would appreciate finding out about them. I have found couple of places that claim to be able to weld up the crank and turn it back down again. I am a little sceptable (spelling) about how well this would work and/or hold up. I was hoping somebody on here would know where I might find a good used crank or engine. Try a good engine machine shop, cranks can be reground and oversized bearings can than be used to save the crank, that is if you didn't spin a main bearing. I spun a rod bearing and it ate up the journal beyond what can be turned. It looks like I am going to get the crank welded up and then turned back down. I am a little skeptical of welding a crank but for $150 - $200 it sure beats $1000+ for a new one. That is why I was asking if anyone had a used crank or engine. There was a comment here awhile back that Mahindra bought some rights to the Ford compacts. That might be an alternative source of parts. I don't know much about it but I keep thinking I should track it down since I have a 1710 and rumors abound that more and more parts are being 'obsoleted' by NH. My Detroit-area NH dealer keeps a lot of old parts and tractors, and implements around. Ask for the owner, Bill. He's at 734 -241-3232. If he doesn't know he might know someone who does. Thanks earthwrks, I will call him in the morning.